The Art and Medicine program headed by UT Dallas Distinguished Scholar in Residence Bonnie Pitman advances in research and outreach. 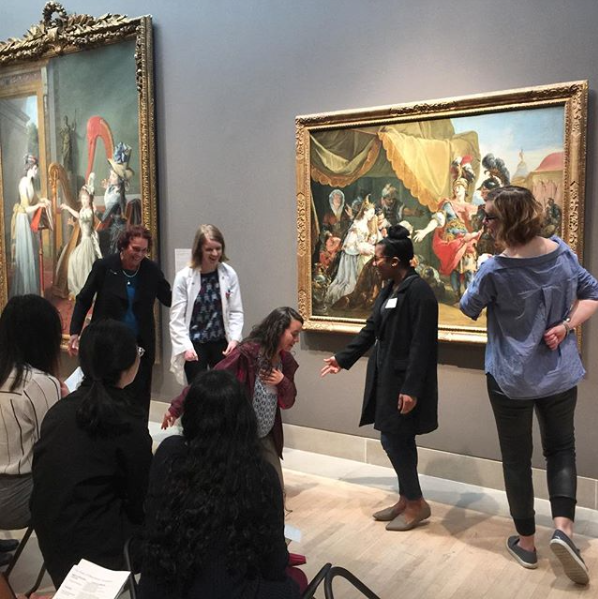 2018 marks the third year that EODIAH has been the host hub for important resources relating to Art Museum and Medical School Partnerships: collaborative programs developed by art museums that partner with medical schools in order to cultivate medical students’ skills in rigorous observation, critical thinking, communication, team-building, empathy and relate these to diagnostic practices. 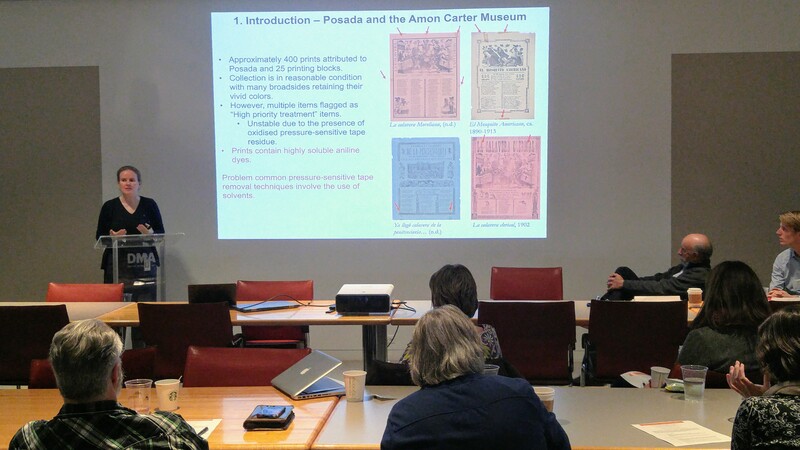 The Art and Medicine website recently released updated versions of the field’s bibliography, program descriptions, and sample syllabi of courses. 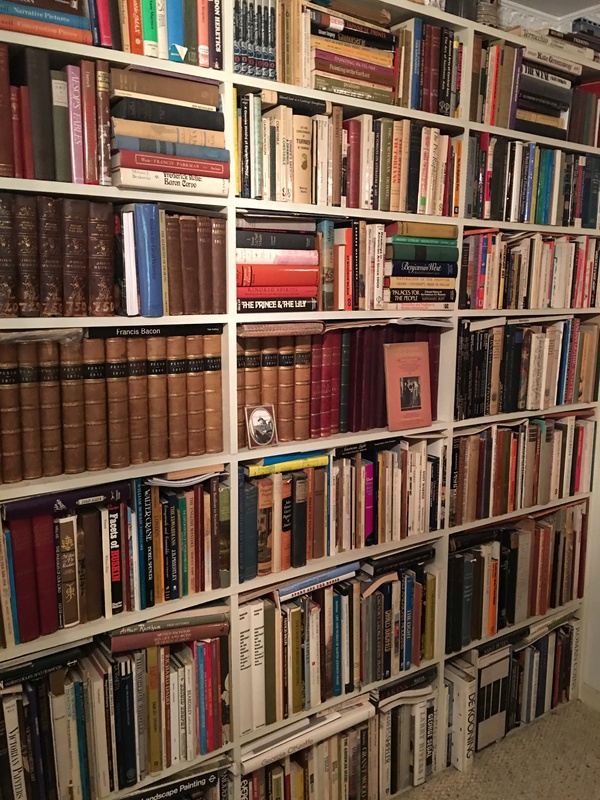 The extensive and fast-growing Art Museum and Medical School Partnerships bibliography offers a variety of media in an expansive collection containing program details, related medical humanities developments, and documentation on the value of observation art-based learning experiences. A centralized node of research, it continues to advance the field by creating opportunities to exchange teaching methodologies and establish networks for research and evaluation. 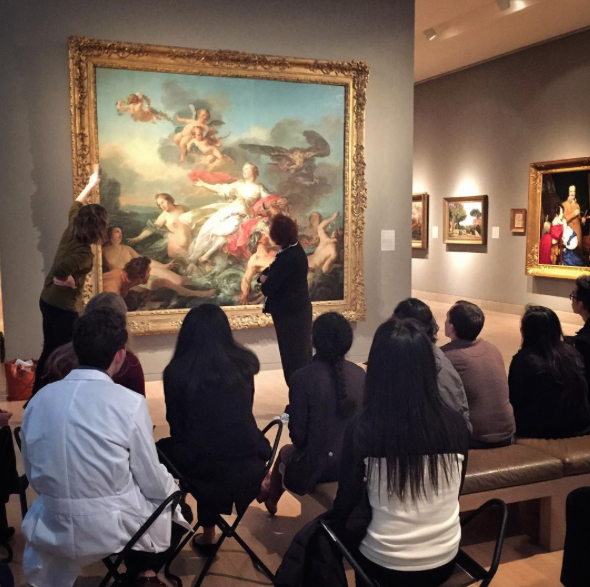 The Art Museum and Medical School Partnerships Program Descriptions collection is international in its scope, currently listing over 120 programs that outline each program’s key personnel, goals, students served, and outcomes. New additions in the updated version include partnerships that expand into the fields of nursing, mental health, and other medical arenas, such as the Lawrence Wilson Art Gallery in Perth, Australia, that partners with the Sir Charles Gairdner and Osborne Park Health Care Group to offer object-based learning for Emergency Medicine specialists and trainees. The course is designed to teach close observation of unfamiliar material in a non-threatening context, with students gaining skills in collaborative program solving, creative thinking, tolerance of ambiguity, close visual-spatial observation, and empathy. As the Director of Art – Brain Innovations at the UT Dallas Center for BrainHealth, Bonnie Pitman moves forward in partnership with the Center for Brain Health in her research initiatives. 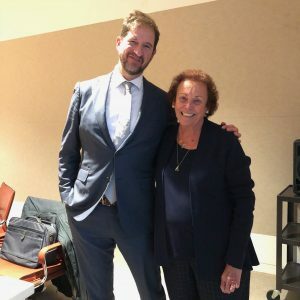 Pitman has paired with Dr. Leanne Young, Executive Director of the CBH Brain Performance Institute, to infuse the framework for the Power of Observation (the process of seeing, looking, and observing) with cutting edge neuroscience research. 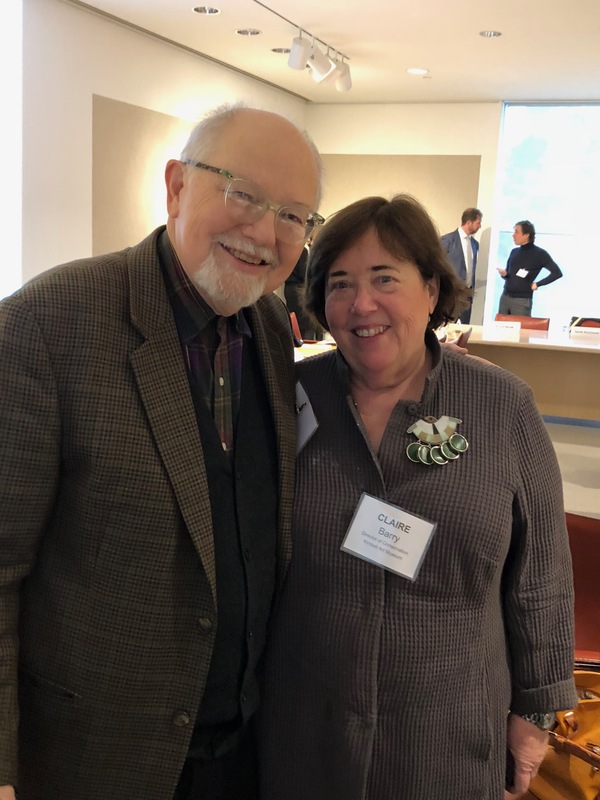 2019 will bring exciting advances in the Power of Observation framework as Pitman and Young develop a set of evaluations, workshops, and lectures. Bonnie Pitman continues to share her personal journey of living with chronic illness with her Do Something New™practice that celebrates life in a daily exploration of taking an ordinary day and making it extraordinary. On September 20, she will hold a talk at the Center of Brain Health Brain Performance Institute on her latest discoveries of Do Something New™as she prepares her venture for a future book. The enlightening session will invite idea discussion and inspire all to adopt practices of their own. The Art and Medicine program headed by UT Dallas Distinguished Scholar in Residence Bonnie Pitman began this year with many exciting new developments. 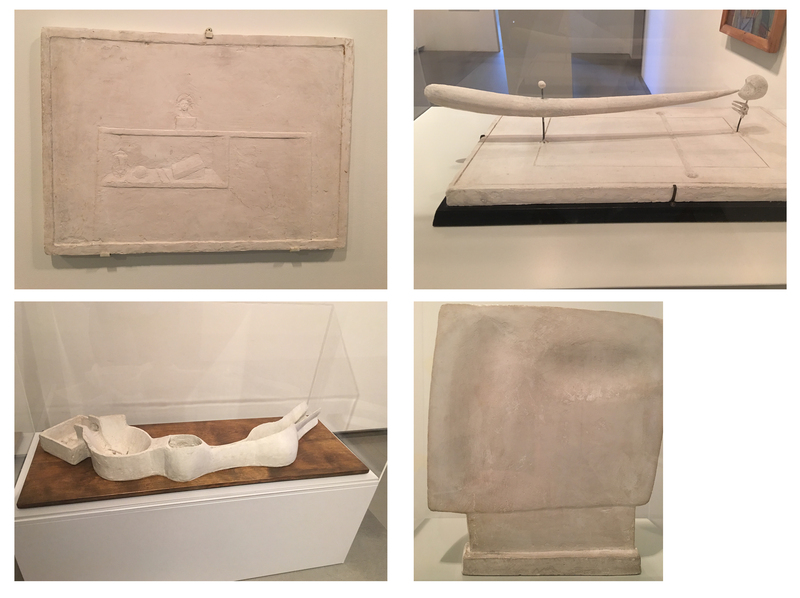 Pitman published an article in The Journal of American Medicine Association (JAMA) highlighting contemporary artist Beverly Fishman, whose large-scale, pill-shaped reliefs explore intersections between the pharmaceutical industry, colors and surfaces of drugs, and relationships with illness. 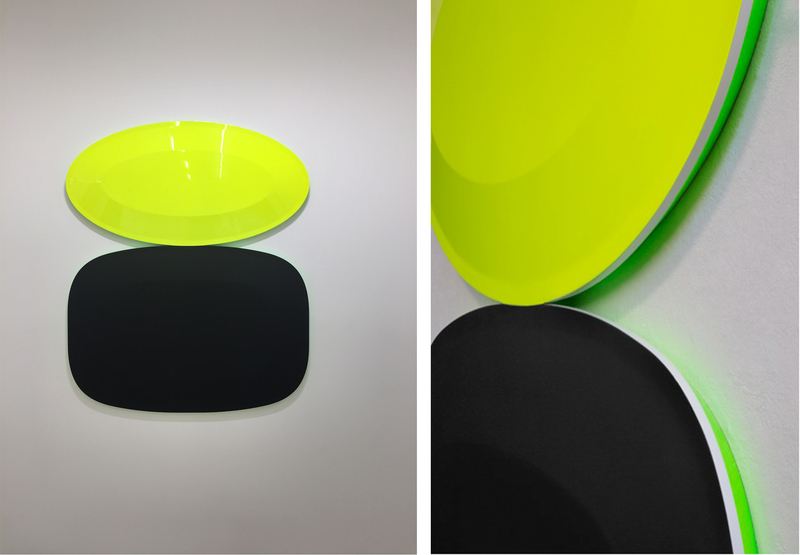 Fishman veneers her pill forms with slick layers of jarringly vibrant colors that shift and vibrate based on viewer perception. The confrontation of these wall-mounted abstractions with names such as “Untitled (Stacked Pills)” are meant to spark dialogue concerning the myriad ways medications have permeated and inform our culture. Beverly Fishman, Untitled (Stacked Pills), 2016 (right: detail). Urethane paint on wood, 149.9 cm × 121.9 cm × 5.1 cm. Photo courtesy of PD Rearick. 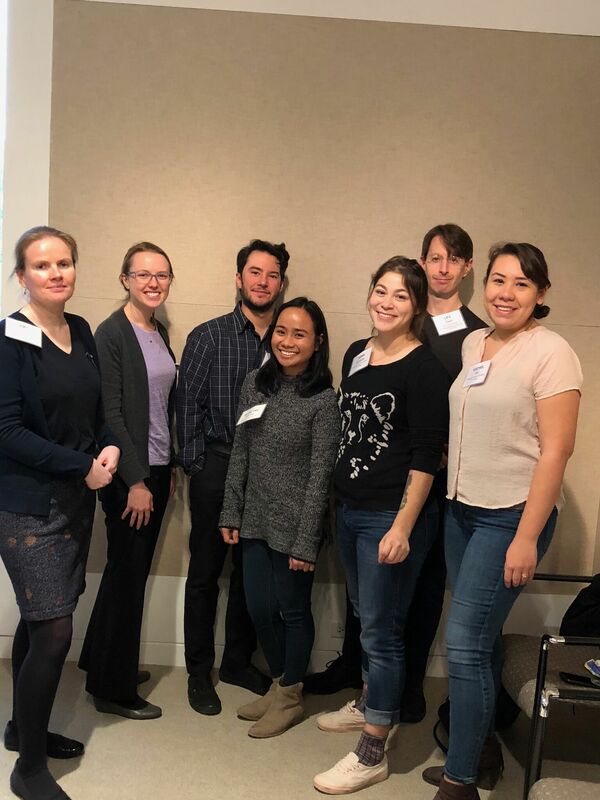 This Spring 2018 semester sees 32 medical students from UT Southwestern enrolled in The Art of Examination, a preclinical elective focusing on developing skills for clinical diagnosis through looking at works of art. Now in its fourth year, Bonnie Pitman with faculty partners Heather Wickless, MD, Assistant Professor of Dermatology, UTSW; Courtney Crothers, UTSW Art Curator; and Dallas Museum of Art educators Lindsay O’Connor and Amy Copeland, instructs students in using the power of art to learn observation and communication skills related to working with patients. 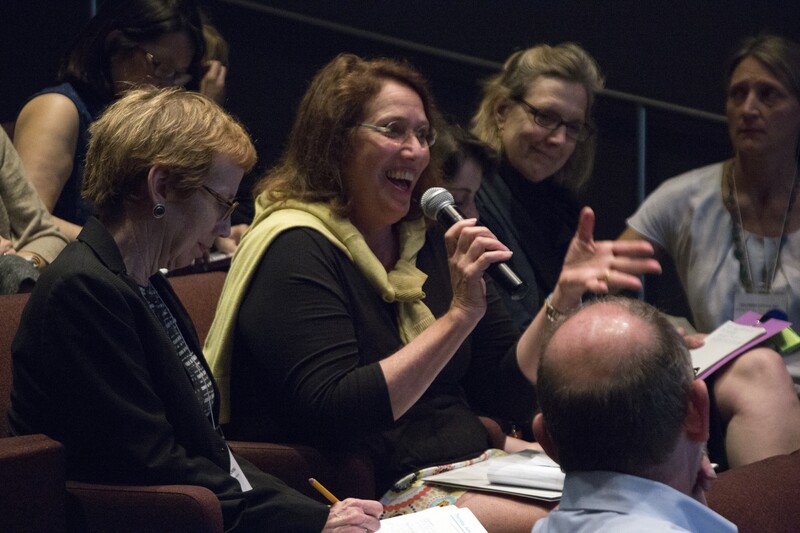 Sessions are held at the Dallas Museum of Art, Nasher Sculpture Center, The Warehouse, The Crow Collection of Asian Art, and UT Southwestern Medical Campus to address topics including conservation, artists with disease, empathy, physician burnout, and cultural influences. Students learn to synthesize personal observations, knowledge, and experiences as they gain awareness of collaborative thinking and communication processes. 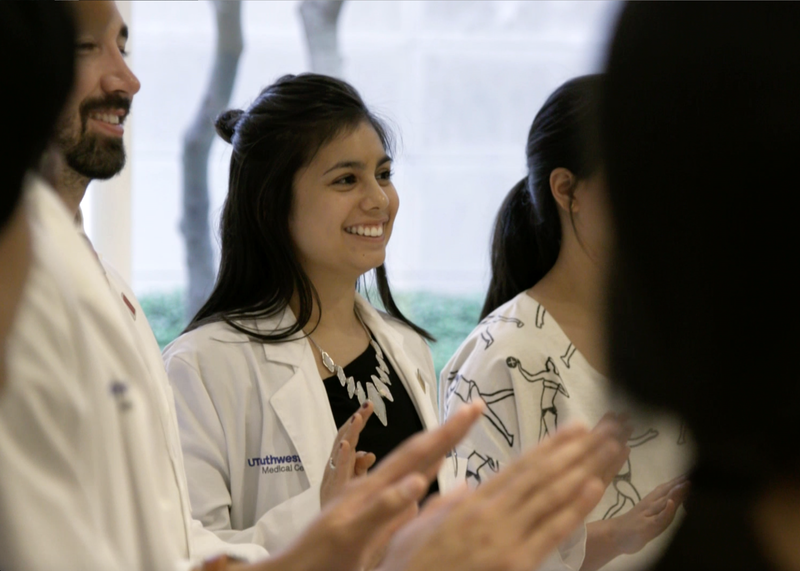 The class engages students in discussions, drawing and writing exercises, lectures, and interactive experiences all designed to cultivate skills beneficial to clinical practice. 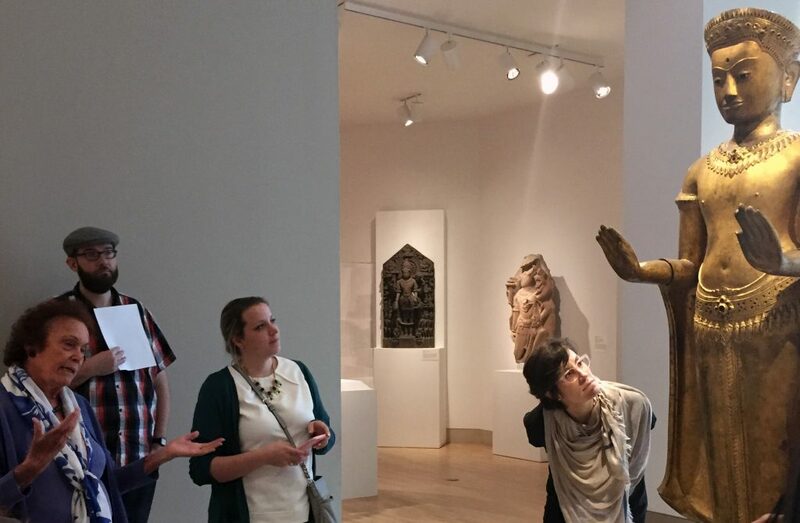 Art of Examination students learn new ways of relating to art by mirroring poses in the DMA’s European Art galleries. 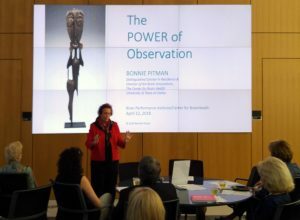 As the newly-named Director of Art – Brain Innovations at the UT Dallas Center for BrainHealth, Bonnie Pitman expands her research and teaching of the art of observation, meditation, and compassion. 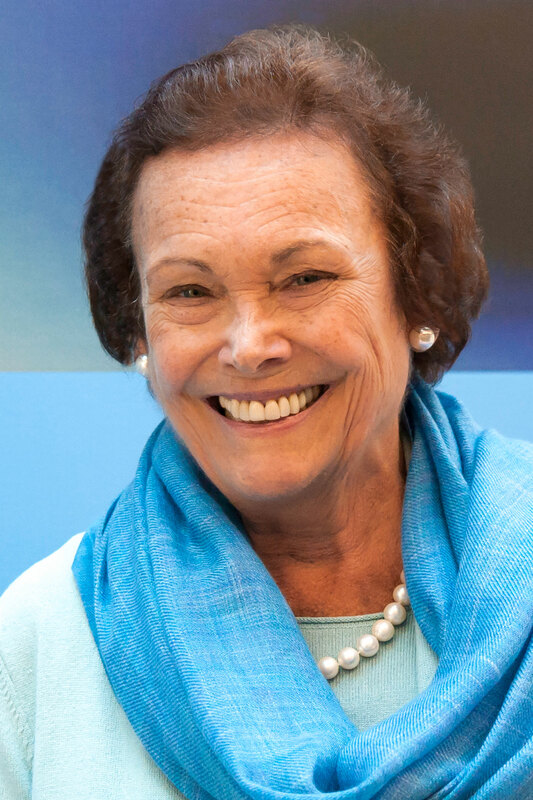 This Spring, Pitman will develop lectures and workshops that provide strategies to improve brain performance around her initiatives Do Something New®, her daily practice of focus and celebration of making an ordinary day extraordinary while dealing with chronic illness, and the Power of Observation, an initiative that connects neurological research with the experience and process of seeing, looking and observing. Register for Bonnie Pitman’s upcoming Sips and Science talk on DO Something New! 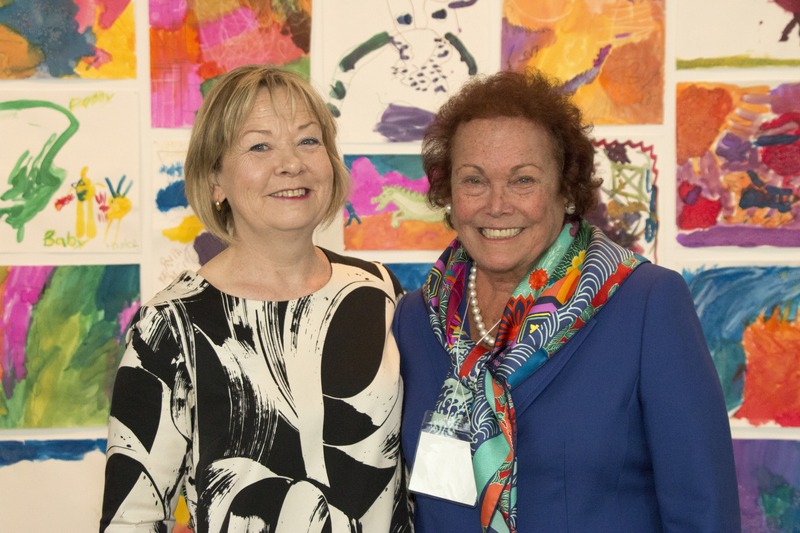 Bonnie Pitman continues to make major advancements in her work on Art and Medicine at UT Dallas. 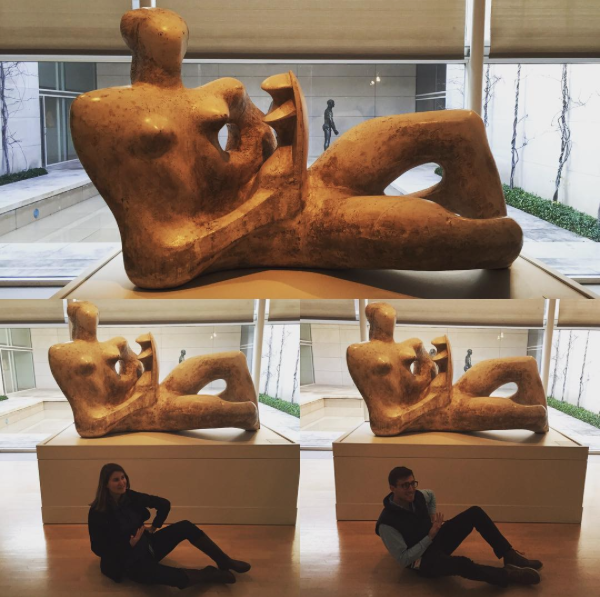 Her recent publications in the Dallas Morning News and San Antonio Medicine highlight her continuing initiatives to expand the awareness of the national movement teaching medical students the art of close-looking, developing empathy and dealing with ambiguity through looking at works at the Dallas Museum of Art. Pitman’s feature in Zócalo Public Square focuses on her life-long dedication to art museum engagement and the successful practices she implemented at the Dallas Museum of Art. Dr. Heather Wickless, M.D., M.P.H., Assistant Professor, University of Texas Southwestern Medical School and Amanda Blake, Interim Director of Education at the Dallas Museum of Art are commencing plans to join Pitman in teaching the 2018 class for UT Southwestern Medical School students. 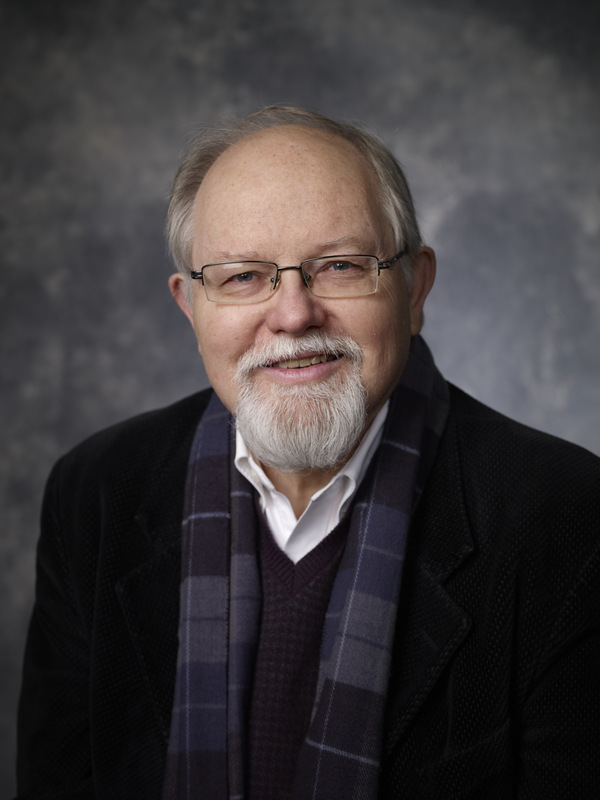 Pitman has been invited to deliver a keynote lecture and grand rounds at Saint Louis University (SLU)’s Art History Department this Fall 2017, to art history faculty and students, health professionals and students, and art educators. Her talk “The Art of Examination: Art and Medicine Explored” provides an overview of the current art in medicine programs around the country and her work at UT Southwestern Medical School, teaching medical students skills for close observation, empathy, communication and dealing with ambiguity through close looking at art. 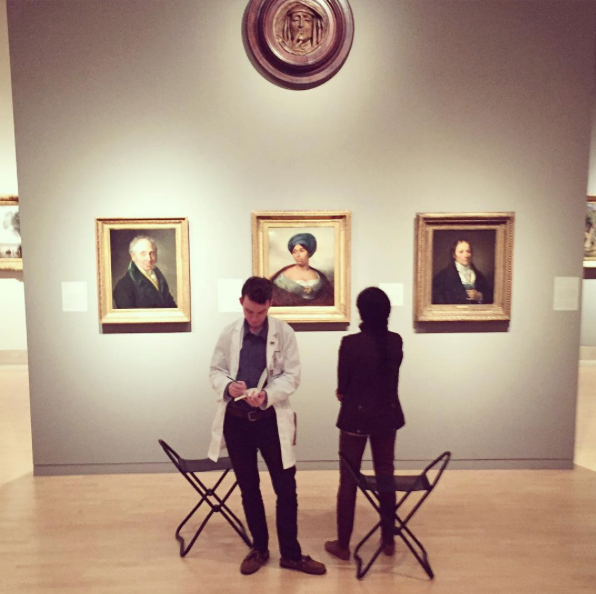 She will also facilitate an educational session in the St. Louis Art Museum (SLAM) galleries with members of the museum’s Learning & Engagement team and physicians at the Medical School using objects in the museum’s collection to share her unique methods of merging art and medical teaching. 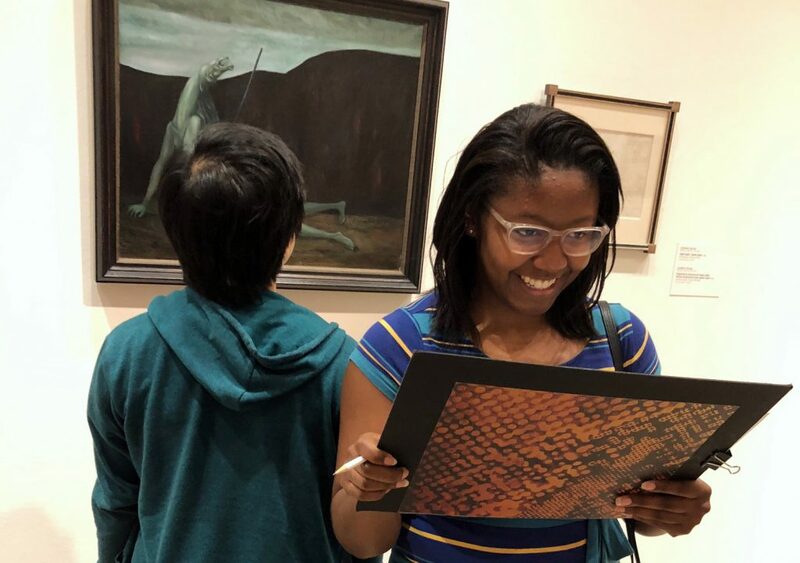 Medical students in the UT Southwestern – UT Dallas course Art of Examination are on the go this semester learning how to look at art using the collections of Dallas’s premier art collections. 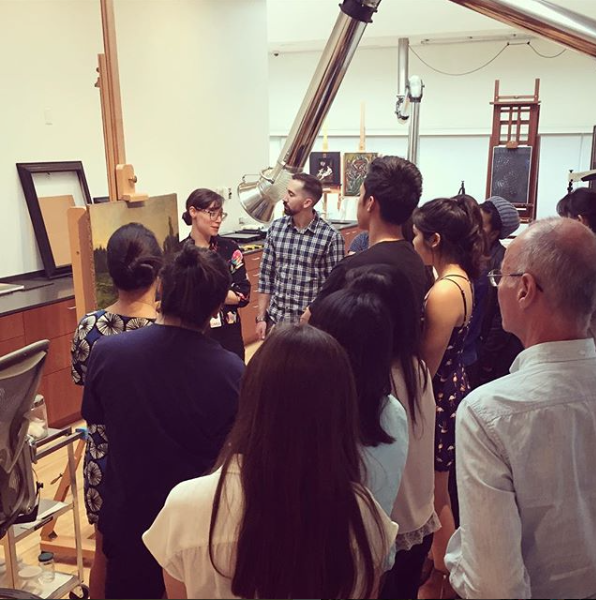 Classes having been taking place between The Dallas Museum of Art, The Warehouse, Nasher Sculpture Center, The Crow Collection of Asian Art, and Clements Hospital. Lessons address mindfulness, collaboration, and interpretation with exercises on slowing down to spend time looking at works of art, looking and communicating as a team, and creating multiple interpretations to generate new ideas. The Art of Examination is a preclinical elective focusing on developing skills for clinical diagnosis through looking at works of art. 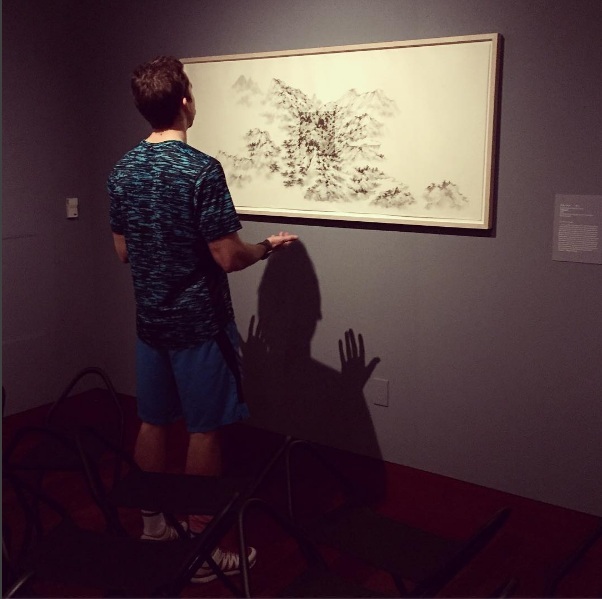 Through experiences with artworks, students in the course improve visual literacy skills, which are the ability to observe, analyze, interpret, and make meaning from information presented in the form of an image and relates to both examining patients as well as artworks. The course uses the power of art to promote the analysis and communication necessary in addressing ambiguity in the physical exam and patient interaction. The Art of Examination is taught by Bonnie Pitman, Distinguished Scholar in Residence, Edith O’Donnell Institute of Art History, UT Dallas; Heather Wickless, MD, Assistant Professor of Dermatology, UTSW; Amanda Blake, Interim Director of Education, Dallas Museum of Art; and Courtney Crothers, UTSW Art Curator. 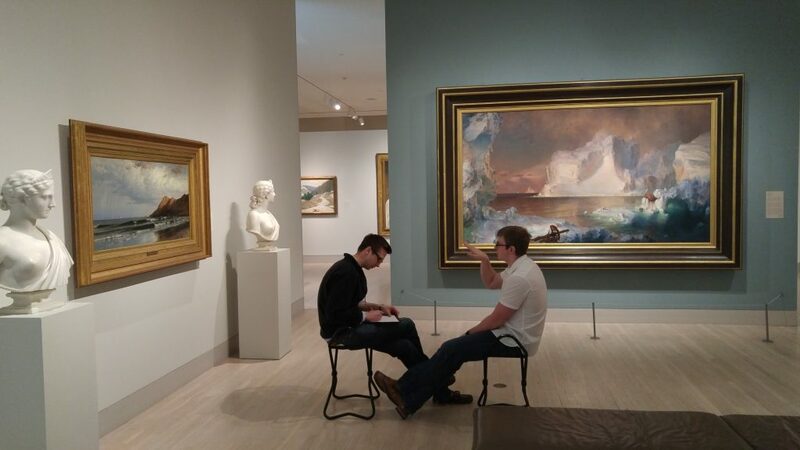 The Art of Examination is taught at Dallas art institutions such as The Dallas Museum of Art, pictured. Images courtesy of ArtDocs. 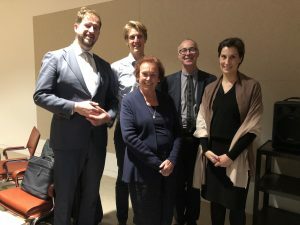 Bonnie Pitman, Distinguished Scholar in Residence at the Edith O’Donnell Institute of Art History, continues to make advances in the field of Art and Medicine. This Spring 2017 semester she will continue to teach The Art of Examination course through UT Southwestern Medical School with faculty partners Heather Wickless, MD, Assistant Professor of Dermatology, UTSW; Amanda Blake, Interim Director of Education, Dallas Museum of Art; and Courtney Crothers, UTSW Art Curator. The Art of Examination is a preclinical elective focusing on developing skills for clinical diagnosis through looking at works of art. 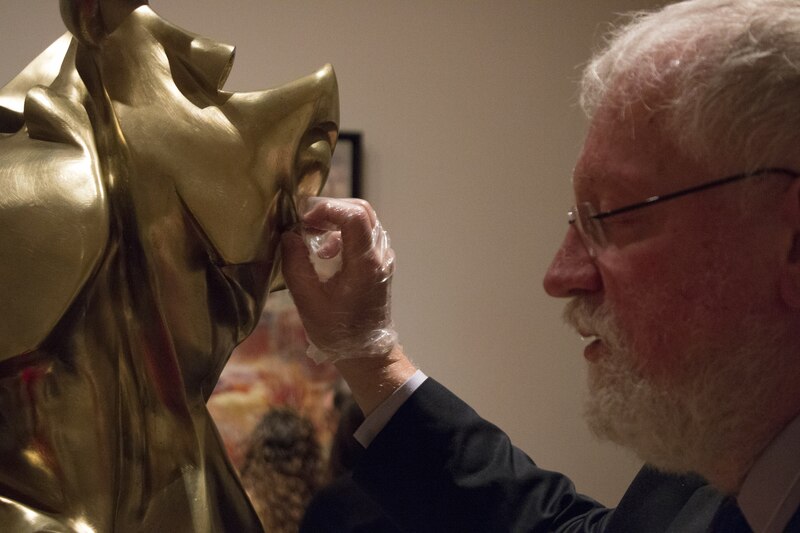 Through experiences with artwork, students in the course improve visual literacy skills, which is the ability to observe, analyze, interpret, and make meaning from information presented in the form of an image and relates to both examining patients as well as artwork. The course uses the power of art to promote the analysis and communication necessary in addressing ambiguity in the physical exam and patient interaction. The class discusses factors influencing what we see, and how we interpret visual information. Other topics include conservation, artists with disease, empathy, physician burnout and cultural influences, with their implications for medical practice. Participants will cultivate habits of close observation, inspection, and cognitive reflections to shape his or her early medical career. Students will learn to synthesize observations and one’s own knowledge and experiences as well as an awareness of the collaborative thinking process of the group, a skill vital to successful clinical practice. The class will engage students in discussions, drawing and writing exercises, lectures, and interactive experiences that will foster communication. 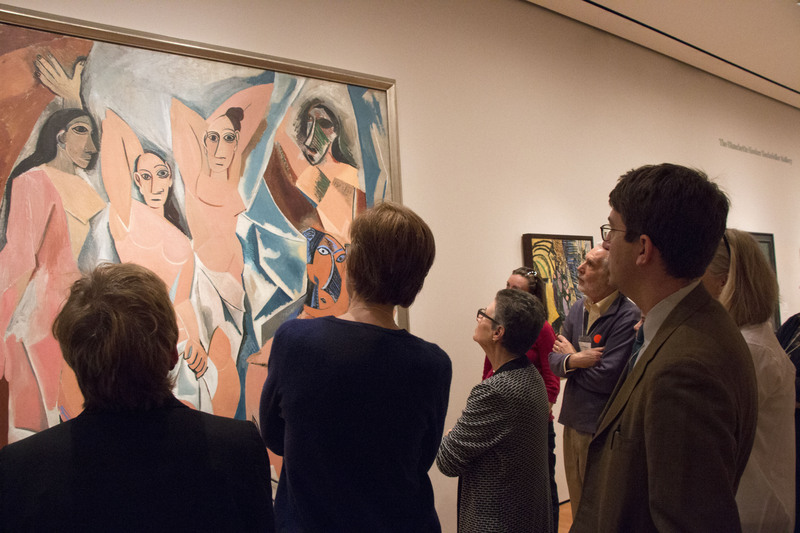 This is not an art history class and students need no previous training in art to participate. 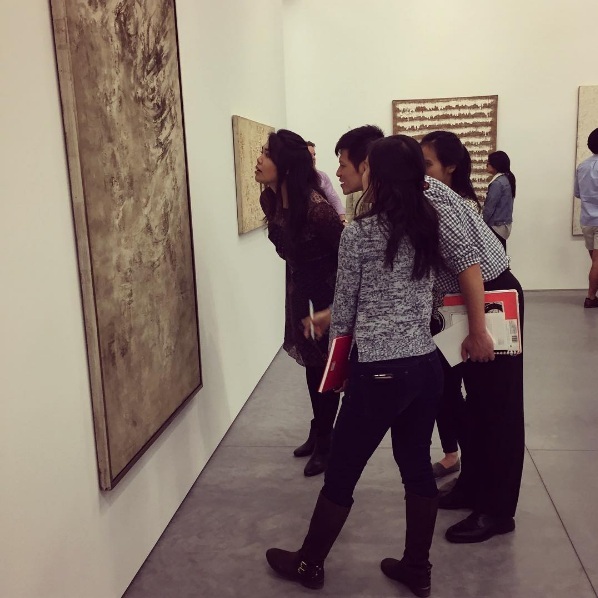 The course meets in accordance with the schedule at The Dallas Museum of Art, Nasher Sculpture Center, The Warehouse, The Crow Collection of Asian Art, and UT Southwestern Medical Campus.